Originally constructed in 2007, the 50-foot-high steel Big 4 is a naked frame, ready to be transformed by artists. 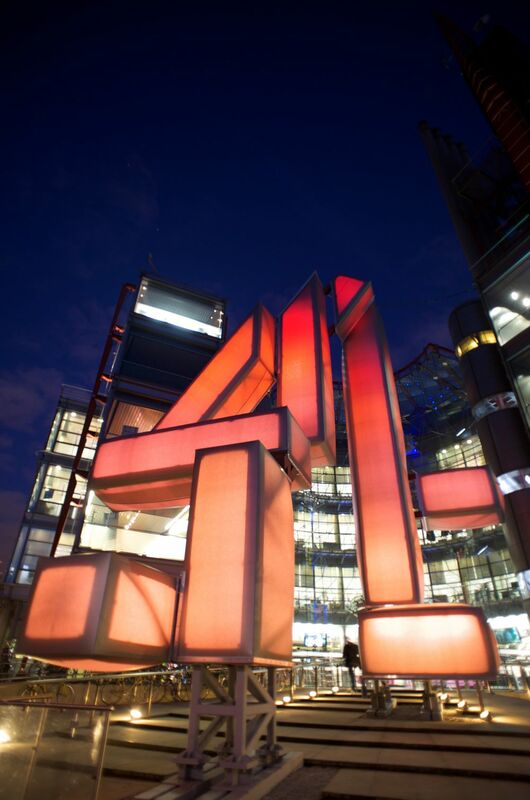 Its structure mirrors Channel 4’s iconic on-air identity, with the metal bars forming the logo only when viewed from a particular angle. The Big 4 was created to celebrate both the Channel's 25th anniversary year and the launch of the Big Art Project. Since its inception a variety of artists, both internationally renowned and emerging talent, have created ‘skins’ for the 4.